A new blog and a new giveaway, could you be the winner? Click below for your chance to enter. Mrs. Stamp's Kindergarten: My 1st GIVEAWAY... for LUCKY, LUCKY 13 followers!!... : "I'm so excited that I decided to start this little blog... 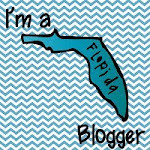 I'm already becoming a blog addict!! SUCH FUN! To celebrate my lucky, lucky 13 ..."